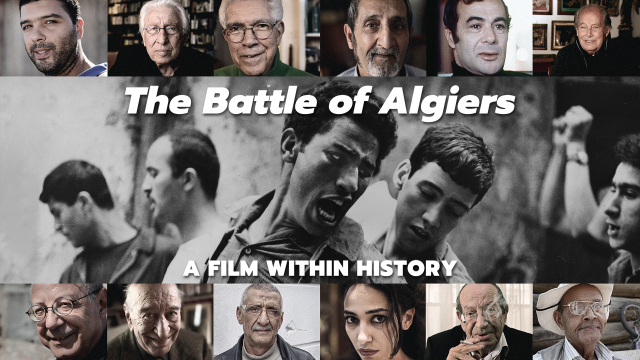 The Battle of Algiers is one of the most critically celebrated films of all time. Made in 1966 it documented Algeria's war for independence. 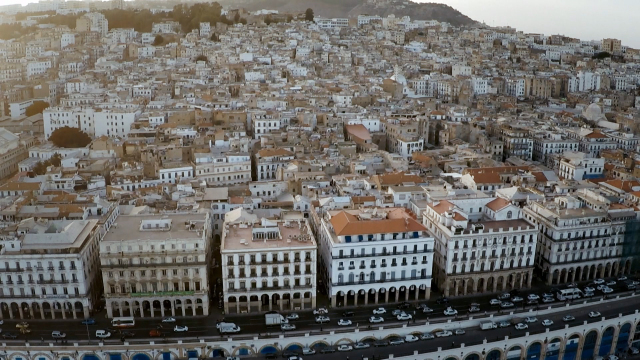 Returning to the roots of the production and the personalities involved, this documentary explores what made The Battle of Algiers so profound and also some of the controversies. Was the truth it was intent on recounting warped by the proximity of the filmmakers to the subject? In the late 1950s Italian filmmakers Gillo Pontecorvo and Franco Solinas embarked on a project that was to become The Battle of Algiers. “At first their film concept was based on the battle of Algiers, but the main characters were the [French] paratroopers,” remembers Bernardo Valli, who served as a war correspondent in Algiers during that period. “The Italian film producers thought the image of a paratrooper would sell better… I tried to explain, which they later accepted, that things were more complex… It was ‘Free France’ that suppressed Algerian resistance.” Buoyed by Valli’s directive to go beneath the surface, Pontecorvo and Solinas travelled to Algiers in 1959; there they developed an admiration for the Algerian Liberation Army as they witnessed the period leading up to Algeria’s declaration of independence from France in 1962. At the same time as the Italian filmmakers contemplated a film about the battle, key members of the National Liberation Front (FLN) sought an outlet for their version of the story. “Independence came at the same time as a major crisis, and there was lot of scepticism among the population as to the ability of the FLN to rule Algeria,” says Mohamed Harbi, former counsellor of Ahmed Ben Bella. “So we had to raise the troops’ spirits, to begin with by creating war legends.” Yacef Saadi, one of the leading lights of the FLN, wrote a screenplay based on the experiences of the Algerian liberation forces. Uninterested in what he saw as “a tract praising the rebellion,” Pontecorvo offered to work with Saadi to write a more nuanced film that examined the struggle against colonialism in Algeria. From the film’s inception, the team faced several challenges. Despite Algeria’s dire economic situation, President Ahmed Ben Bella was persuaded to give 400 million Algerian francs to the film. “Algeria had no money, no money at all. It was an enormous amount,” says Mohamed Harbi. “But then again Yacef Saadi was the chief of the armed groups, he had to be given something for the sake of peace.” And the production found itself in the middle of a crisis when the tanks of Houari Boumédiène took advantage of the confusion caused by filming to carry out a successful coup. Read about Gillo Pontecorvo's ground-breaking The Battle of Algiers here. Malek Bens­maïl was born in Cons­tan­tine, Alge­ria in 1966. Early in his youth, he shot films in Super 8. Since comple­ting his film studies in Paris and trai­ning at Lenfilm studios in Saint Peters­burg, he has devo­ted his filmma­king efforts to the docu­men­tary genre. All of his films relate to the history of his coun­try. His signature cinematography depicts the complex, sensitive contours of humanity. His aim is to use film as a medium for cultu­ral reflec­tion and compa­ri­son. His films have received criti­cal acclaim and have won awards at a number of festi­vals world­wide. Director Malek Bensmail says, "The Battle of Algiers by Gillo Pontecorvo is a film that has marked my life and my work as a filmmaker. I have a special relationship with this film. I was born the year it was presented in Venice. Throughout my childhood in Constantine I would watch the film we called then “The Battle” or “Ali la Pointe”, the nickname of the hero of the film. The One, as we called the Algerian television, would broadcast this fiction every 1st November thus commemorating the start of the Algerian War for Independence. So, as the years went by, Ali la Pointe and also Kader, the two protagonists of the film had become for us, kids, exceptional characters, the heroes of a war that we hadn’t known, the heroes of urban guerrilla warfare. On the day after, we would play the important scenes of the film as a game, in our schoolyard or in the streets of our neighbourhood. Role plays: FLN commandos against French paratroopers reciting the dialogues of the film that we knew by heart. For us, young Algerians, then later for everyone, the film became a must see, a mythical film as we all know. On 19th June 1965 at dawn tanks were brought to different strategic points in the city. It didn’t raise any suspicion among the population who thought it was part of the shooting of the film The Battle of Algiers. Military units occupied the radio and the television and the staff arrested the president elect. Colonel Boumediene, who had financed the film and authorized the shooting, set up his Revolutionary Council, which would lead him to presidency. The Battle of Algiers became the scene of different events that all in all were to shape a major part of Algeria’s contemporary history and political future."